Duck Creek Village is a small Southern Utah town located within the Dixie National Forest, which covers nearly two million acres of land. When looking for Duck Creek Village ATV rentals, we suggest exploring the national forest on these four-wheelers. With tons of trails and extraordinary red rocks formations, Dixie National Forest is a favorite destination for locals and visitors alike. 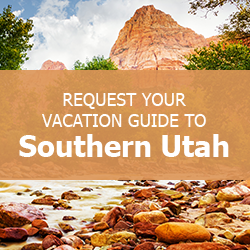 As you begin planning your trip to Southern Utah, let us help make your research easier when you download our complimentary Vacation Guide! Within this handy planner, you’ll find dozens of local suggestions on the best hikes and activities, like top Duck Creek Village ATV rentals. So many travelers have used this guide to plan a vacation of a lifetime. Get your copy today! Alpine Motorsports is one of the best companies for Duck Creek Village ATV rentals offering half- and full-day experiences. When you select a full-day rental, you’ll have access to the vehicle from 8 a.m. to 5 p.m., and delivery is free! Roam the many trails nearby for an exciting day of exploration or opt to rent the ATVs for a half-day and spend four hours atop these four-wheelers. Full-day rentals are $350, while a half day is just $250. Helmets, maps, and operation instructions are provided with all rentals. Riding over the rocky terrain of Southern Utah is more fun on an off-road vehicle. If you’re interested in renting ATVs while in the area, Duck Creek Adventures offers several options. Whether you choose to take the four-wheelers for a full or half day, all rentals depart at 9 a.m., and you must arrive at least 30 minutes prior. Be sure to wear appropriate shoes, like hiking boots or sturdy sneakers, and don’t forget sunscreen as you’ll be roaming under the sun all day. Head 30 minutes from Duck Creek Village to rent ATVs from Kane County Off-Road, which offers more than just the half- or full-day options. You can choose to take ATVs with two or four seats for five hours, eight hours, 24 hours, or an entire weekend. Check the prices for each option on the company’s site. Located in the Dixie National Forest, Duck Creek Village grants access to tons of off-road trails. The Markagunt OHV System within the forest is the best place to ride ATV rentals. Extending for miles, the trail system leads riders through unique terrain changes from woodlands and open fields to lava caves and red rock canyons. View a map of the trail system to plan a route before taking the ATVs out! Offering vacation properties throughout Southern Utah, Family Time Vacation Rentals has several properties near many of these Duck Creek ATV rentals! Select one of our homes in Duck Creek Village or browse other properties near National Parks. When you stay with us, you’ll have all the comforts and amenities of home with the convenience of being close to all the attractions you want to see. 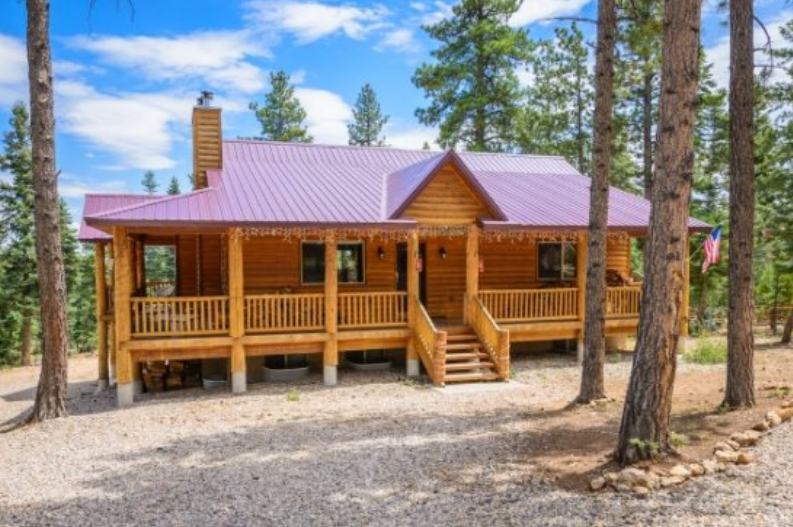 This Duck Creek Mountain Cabin is perfect for large groups or multiple families traveling together. With room to accommodate up to 12 people, the log cabin home has modern kitchen appliances and a large deck with beautiful views of the surrounding mountains. Hiking and ATV trails are close by, and if you choose to rent your ATVs for the weekend, there’s plenty of space for storage.